This yoga fitness flow stretches the body laterally. The movements also help to tone the internal and external oblique muscles of the abdomen. The sequence also tones the legs and stretches them. On the way out it shows a lunge pose and Downward Dog pose. You could just drop the leg down from Half Moon pose into a simple standing forward bend and then step the opposite leg back into Extended Side angle pose. Exhale into Extended Side Angle pose. Inhale into Upward Warrior 2. 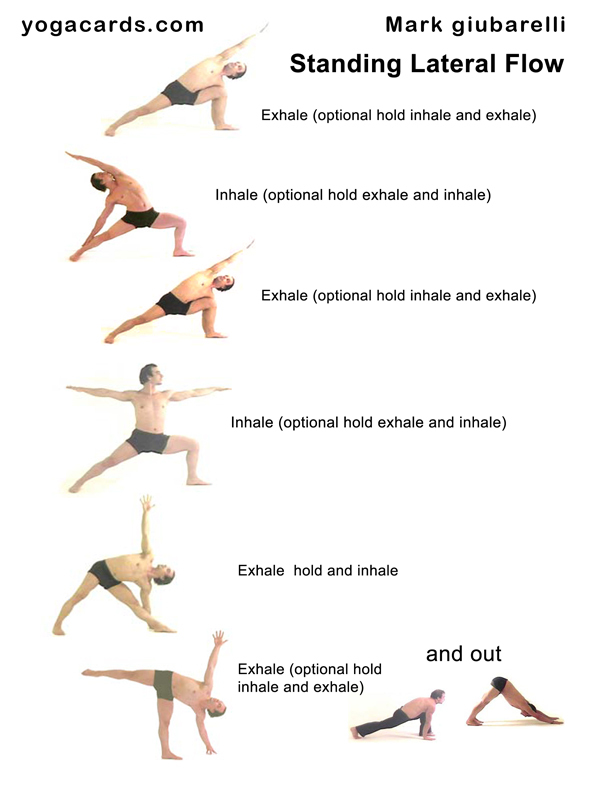 Exhale back into Extended Side Angle pose. Inhale up to Warrior 2 pose. Exhale into Triangle pose. Hold and inhale.